With the new show Roswell, New Mexico came a brand new cast and story, which is a ways off from the high school setting of its predecessor, the original Roswell. For long-time fans of the original television show and the book series, there were certainly some big shoes to fill as it relates to well-known and loved characters. Here at Nerds and Beyond, we can all wholeheartedly agree that Max Evans 2.0 (portrayed by Nathan Parsons) has already won us over. He may not be perfect (and honestly, who is? ), but he is so captivating that one would be hard-pressed to find an excuse not to love him. So what exactly makes Max such an alluring character? Let us show you our five reasons below. Everyone has their own subtle nuances that make them who they are, and Parsons truly brings each one of Max’s to life so perfectly that it is hard not to believe in all aspects of his character. Everything about him draws you in, from the way he delivers heartfelt monologues to his impressive mastery of micro-expressions. He also has incredible on-screen chemistry with Jeanine Mason, which makes their scenes together exceptionally mesmerizing. Max is a fierce and dedicated protector. In just a handful of episodes, we have already seen him make huge sacrifices to protect those that he loves, and he will no doubt continue to do so throughout the rest of the season. When it comes to his family, Max does everything in his power to protect their secret in order to keep Isobel and Michael safe. He did—admittedly—slip up, but it was for the purpose of saving Liz’s life. Afterward, his protection shifted heavily to Liz as well because his siblings grew aggressively wary and used cruel intimidation tactics against her. Since Liz’s resurrection, we have seen Max dealing with fits of anger, most of which have been sparked by threats to the safety of those that he loves. Max Evans wears his heart on his sleeve for those that he cares deeply about (see: Liz Ortecho), which is not exactly a common trait for lead male characters today. It is refreshing, to say the least, to see a budding relationship with so much raw and open honesty about feelings (Liz still has some catching up to do, but it is all in due time.) Again, kudos to Parsons for really shining in every scene he is in! Each episode thus far has included some sort of heartfelt, emotional monologue from Max, and we are eagerly looking forward to many more as the season continues. Max may be head over heels for Liz, with a crush that he has been harboring for over a decade, but he is firm in making it clear that he will not take advantage of her for the sake of getting what he desires. In the pilot episode, it appears that Max and Liz are about to kiss, but he holds back as he solemnly explains, “What you’re feeling is an echo of what I feel for you.” Max is not in this for his own gain; when we eventually (and hopefully) see these two finally get together, it will undoubtedly be an intense and emotionally gratifying scene. Max Evans, we love you. 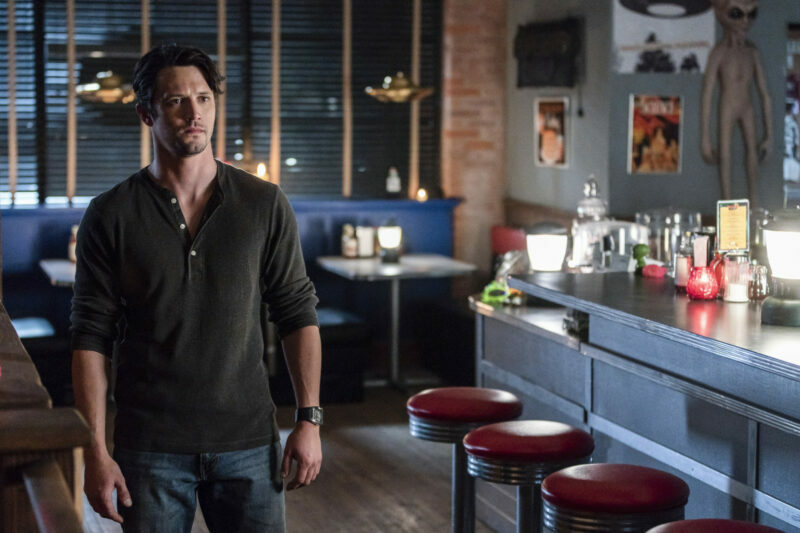 Catch up on all the current episodes of Roswell, New Mexico here, and watch it live on the CW on Tuesdays at 9/8c. IndieGoGo Campaign for “Driven” Reaches Goal! Next story Matt Cohen, Rob Benedict, Jason Manns, Louden Swain Coming to AHBL 10!